1846: On the outskirts of Cincinnati, wagons gather by the hundreds, readying to head west to California. Among the throng is a fifteen-year-old girl eager to escape her abusive family. With just a few stolen dollars to her name, she enlists as helpmate to a married couple with a young daughter. Their group stays optimistic in the face of the journey’s hazards and delays. Then comes a decision that she is powerless to prevent: Instead of following the wagon train’s established route, the Donner Party will take a shortcut over the Sierras, aiming to clear the mountains before the first snows descend. 1859 we open with Mrs Klein, married, mother, living in California and living a very comfortable life. It is Christmas Eve and Mrs Klein has been given a journal, in this journal she will travel back to her teenage years and the journey away from her family on a journey that will change her life forever. Mrs Klein is a made up character, this is a historical fiction book, by creating this character the author allows us to follow the Donner Party with an intimate insider look at the ill fated journey. We flip between the harrowing journey, the trials and tribulations, stripping of social classes, the suffering and darker sides of humanity. The Donner party and that journey is apparently very well known and documented from history yet I had never heard of it, to be fair my history knowledge is pretty shocking. I also don't read a lot of historical fiction but this book, the writing has certainly sparked an interest in this genre and to look at the factual recordings what happened to the Donner party. Mrs Klein, in the "present day" gives the reader an insight into her life now, worlds apart from what she came from and that her husband has no idea of who she was. The book's central focus is on then, what lead to her running away, the journey and then the meeting of her husband and back to present day. The journey is pretty horrific, there is a lot of animal death and suffering. There is a callous attitude toward the hired hands and those deemed of a lower class. As the journey progresses, the suffering and lack of food things become so bad and the levels of depravity, selfishness and self preservation of some characters is hard to fathom. However we know from previous documented history that humans can and will do what they feel they need to to survive, even modern day human life is so little valued by some if it means they can get something they need or want. The writing is so well done, in some scenes, you can visualize exactly what is happening and absorb fully into the book. It has certainly made me want to check out more books like this! This is my first time reading this author, it won't be my last, 4/5 for me this time, not for the faint hearted though guys! 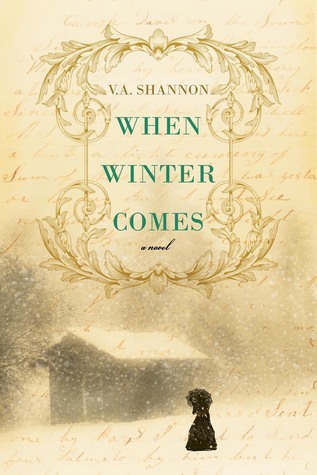 Sign into Goodreads to see if any of your friends have read When Winter Comes.